Our data and datasets are organized within "catalogs". These catalogs represent collections of certain types of data associated with either our research program (Jornada) or data sets collected from dozens of research locations around the country (EcoTrends). 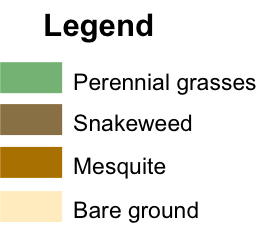 The Jornada Data Catalog is searchable for a number of different attributes including keywords, data category, and status. These data sets are dynamically updated as we collect new data associated with ongoing studies. Download - Within any catalog you will find a [Download Data] link that will allow you to use the data in a desktop application such as Excel or Access. Each dataset includes associated files that describe important features of the included data such as the time period of collection, the manner in which data were collected, and specifics of location of collection. Assistance - If you need assistance with data access or guidance on data analyses, you may contact Darren James at darren.james@ars.usda.gov with specific questions or requests. 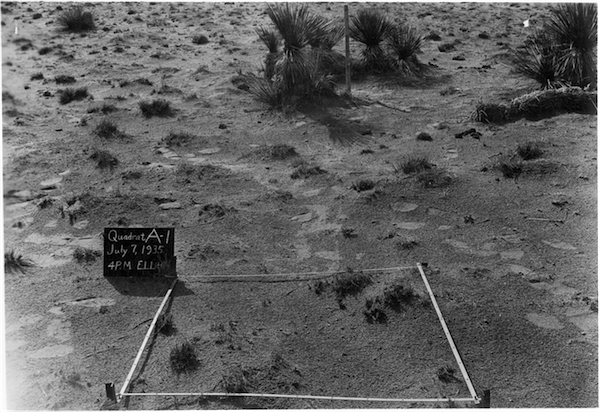 Data sets were provided by the Jornada Basin Long Term Ecological Research (LTER) project and the USDA-Agricultural Research Service Jornada Experimental Range. Funding for these data was provided by the U.S. National Science Foundation (Grant DEB-0618210) and the USDA-ARS Jornada Experimental Range. 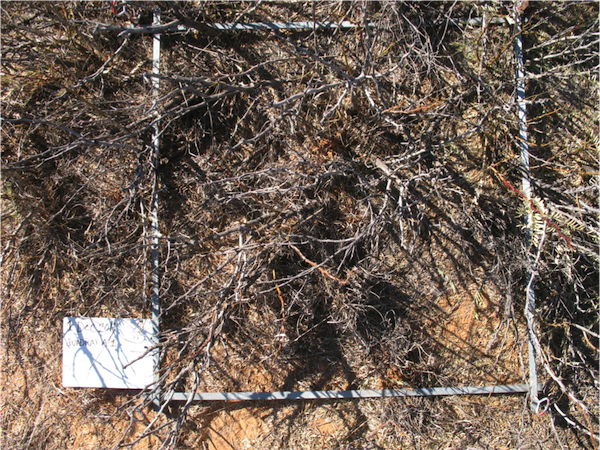 With long term data, we can see the vegetation change over time (1915 - 2011) on the Jornada. This video does a nice job of illustrating shrub invasion on a small scale. The monsoon season, the period during the summer when thunderstorms provide a little more than 50% of our annual precipitation, is defined by the National Weather Service as June 15 - September 30. 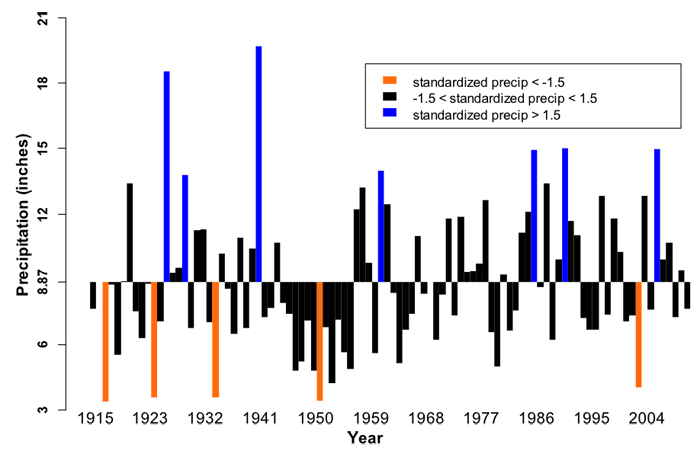 The graph above was developed from a 35-year record of daily rainfall within the northern portion of Dona Ana County, New Mexico, about 25 miles northeast of Las Cruces, NM. 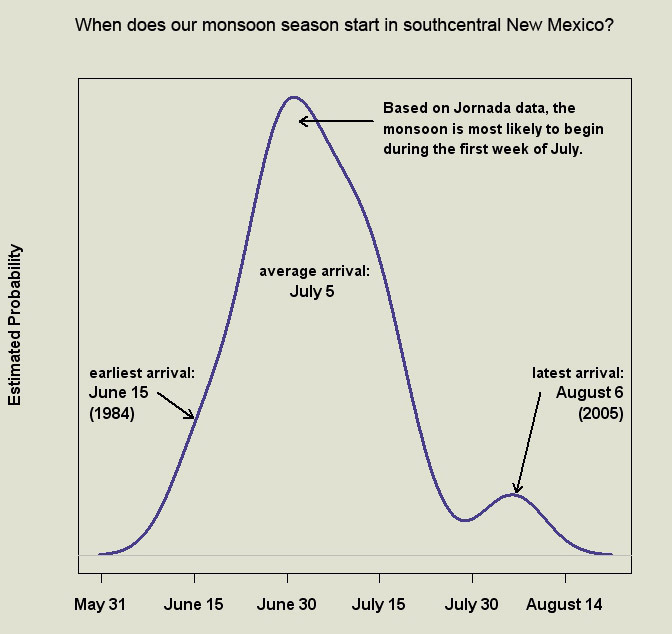 The graph presents the date each year we have estimated to best represent the start of the monsoon season. Typically, the monsoon season most often starts the first week of July, but it has started as early as June 15 and as late as August 6, since 1976.